This is the current project that I am working on. A nightstand featuring two shelves, some bun feet, and some decorative moulding. Feel free to download the sketchup file. The carcass is constructed using through dovetails. I jumped on the D4 dovetail jig to create the dovetails. It does a great job with large case construction. The sides are less than 24″, so there was no limitation issue there. 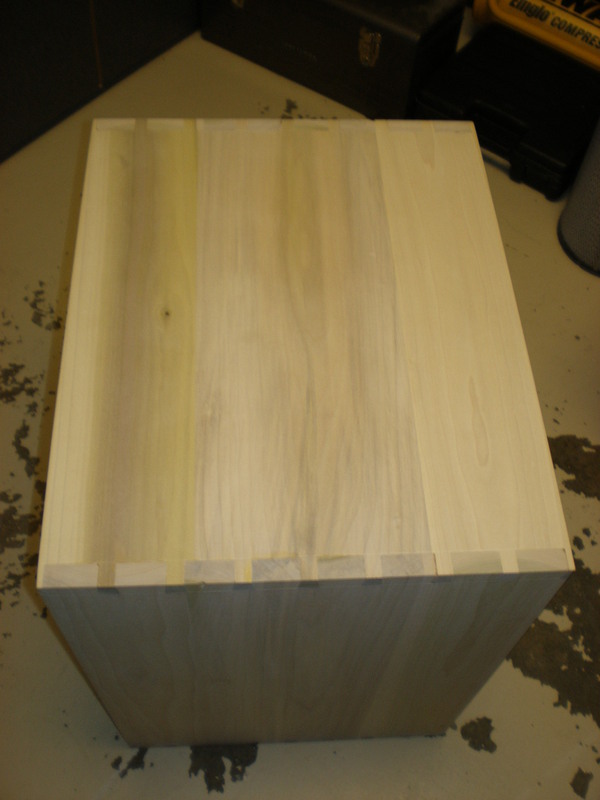 I chose poplar for the entire project (except the back panel) as the final finish will be painted. The back panel is a 1/2″ piece of birch plywood. The poplar mills up nicely and behaves fairly well with the D4 if you remember to scribe a line at the depth of the dovetail. 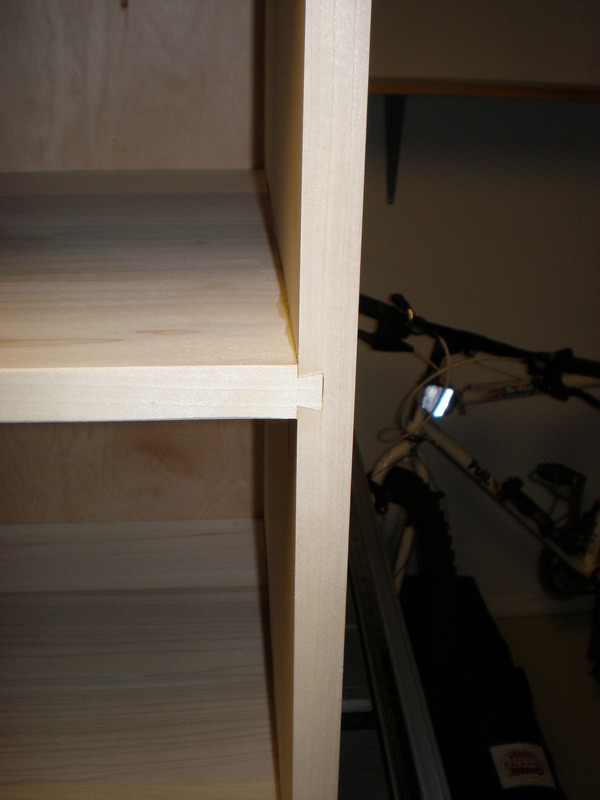 I also used the D4 dovetail jig to cut sliding dovetails on the sides of the carcass. This was the first time I tried this feature on this jig. I was well pleased with the results. I nailed it on the first try. I just followed that incredibly detailed user manual, and they fit like a glove. A regular glove, not OJ’s murder gloves…those were a little tight. 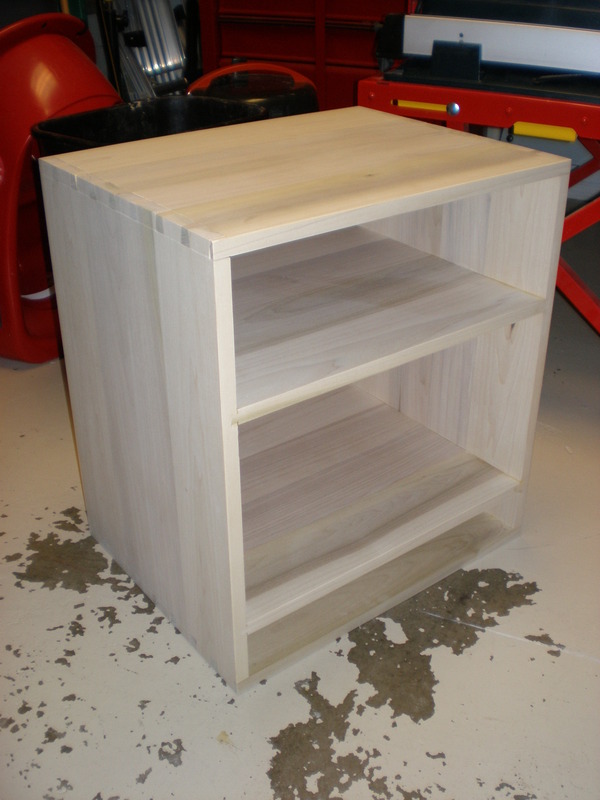 This is where the project stands…a dovetailed carcase with two sliding dovetailed shelves. This is as far as I could get before I had to move last January. Unfortunately, I have not been able to do any woodworking in the past eight months. I have now moved into our new home, and I am currently working on setting up shop in my new garage. However, Hurricane Irene had something to say about that…woodworking is again on hold until I can clean up the mess she left behind. This entry was posted in furniture, nightstand, woodworking and tagged D4, dovetails, furniture, poplar by villagecustomfurniture. Bookmark the permalink.